Srinagar, Apr 16: Life remained crippled for the second consecutive day on Monday in parts of central Kashmir district of Ganderbal, where a student, who was injured on April 3 in security force action, succumbed in a hospital yesterday. 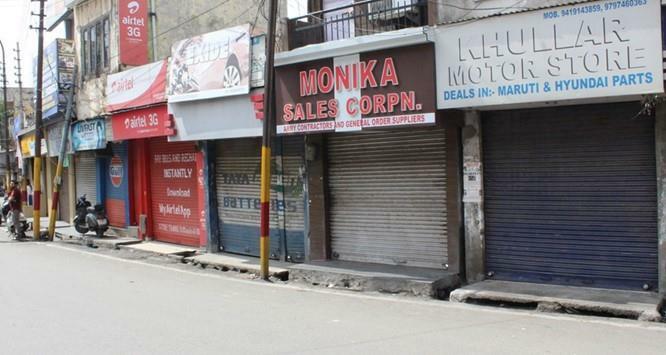 Shops and business establishments remained closed and traffic remained off the roads in Kangan town and adjoining areas for the second day though there was no strike call. Class work in Higher Secondary Schools (HSS) and Colleges in the Ganderbal district has been suspended as a precautionary measure. However, traffic on Srinagar-Sonamarg-Kargil was plying, police said. Additional security forces and state police personnel had been deployed at several places to prevent any stone pelting and disruption of traffic. Situation elsewhere in the district was near normal, they said. Twenty-two-year-old Amir Hamid Lone, a second year student of Government Degree College (GDC), Ganderbal was injured in security force action on demonstrators on April 3, who were protesting against the death of another youth Gowhar Ahmad after hit by a bullet in the head. The demonstrators were protesting against the killing of four youths in security force action in Kulgam on April Ist. Amir died in the S K Institute of Medical Sciences (SKIMS) yesterday.